I've been singing Gatecreeper's praises on this site since early 2016. Since then, the Arizona death metallers have released Sonoran Deprivation, their debut album. Signed to Relapse Records, the quintet is currently touring the States with Nails and Toxic Holocaust through the end of March. Gatecreeper will also appear on this year's upcoming installment of the Sound and Fury Fest in Los Angeles on June 9. 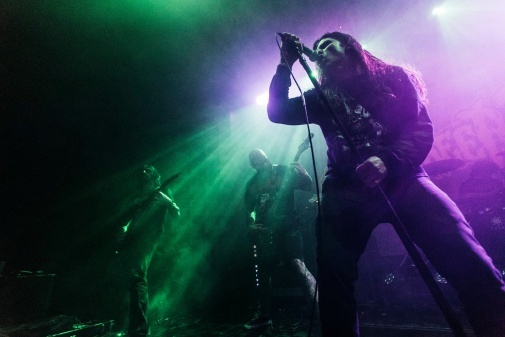 Listening to the band's music, it's no surprise that Gatecreeper frontman Chase Mason is obviously a student of death metal, so I asked him for a list of his 5 biggest vocalist influences in the genre. I’ve always loved the way Matti arranges his vocal patterns and how he can stay in relatively the same range while still sounding very dynamic and interesting. Martin is truly one of the all-time most tortured and mean-sounding death metal vocalists. He's got the hardest howl on the planet. John’s vocals are instantly recognizable. 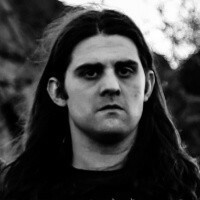 He is the classic death metal singer. I really respect how he can just let the riffs and grooves do the talking. He gives the songs space where he doesn’t have to do vocals the whole time. Not only do I take influence from his vocal style, but also his vibe on stage. I always use a straight mic stand on stage because of John Tardy. Like Matti from Dismember, LG somehow manages to a sneak a hint of melody into tough sounding death metal vocals. I’ve always wished he did the vocals on Clandestine. Bolt Thrower is the sound of war and Karl is the perfect frontman to lead the charge.